﻿ Mbuyuni Beach Village Zanzibar. JIMAT di Agoda.com! Ada soalan mengenai Mbuyuni Beach Village? Dengan lokasi mudah di Zanzibar, Mbuyuni Beach Village adalah tempat yang hebat untuk menjelajahi bandar yang menarik ini. Dari sini, tetamu boleh menikmati akses mudah kepada semua yang bandar meriah ini boleh tawarkan. Dengan lokasi yang mudah, hotel ini memberikan akses mudah ke tempat yang anda perlu lawati di bandar. Di Mbuyuni Beach Village, segala usaha dilakukan untuk membuatkan tetamu berasa selesa. Oleh yang demikian, hotel ini menyediakan perkhidmatan dan kemudahan yang terbaik. Ketika menginap di hartanah yang indah ini, para tetamu boleh menikmati pengawal keselamatan 24 jam, stesen caj kuasa kereta, pengemasan harian, khidmat pos, khidmat teksi. Hotel-hotel telah direka demi keselesaan dan memudahkan tetamu. Sebahagian bilik menyediakan bilik larangan merokok, panggilan kejut, meja, beranda/teres, kalis bunyi. Hotel ini menawarkan banyak peluang rekreasi yang unik seperti bot, denai kembara, sewa peralatan sukan air, luncur angin, selam snorkel. Kemudahan yang hebat dan lokasi yang sangat baik membuatkan Mbuyuni Beach Village menjadi asas yang sempurna untuk menikmati penginapan anda di Zanzibar. Better than in the pictures, we were all around the island and couldnt find anything better than this hotel. Good relaxing place, good food, good staff, good rooms, good enviroment. Totally recommend it! African style, run by african family, not pretentious or fake as other places in nungwi, just authentic! 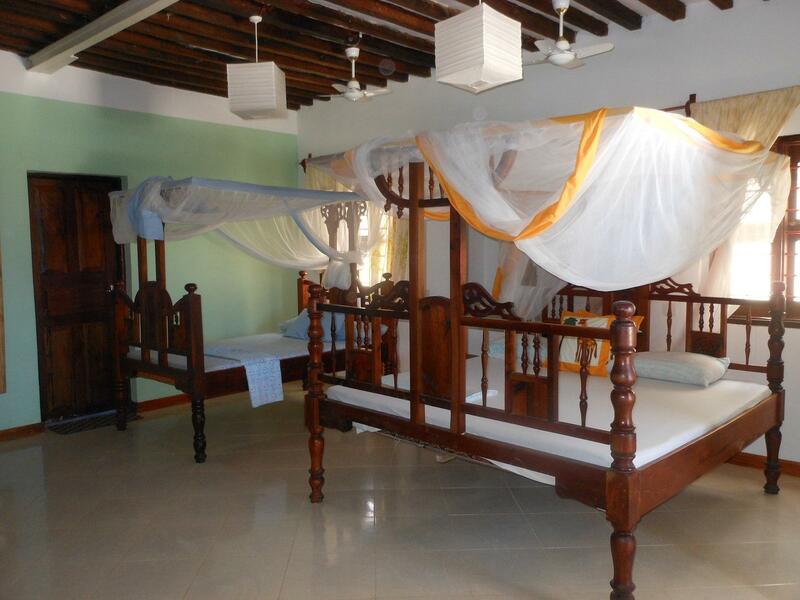 Good location, great staff, amazing food, basic rooms, plenty of beach. Great value! Fresh seafood every meal! Everything was good with nice restaurant and swimming pool. Especially one of staff named Amur was so perfect. He has been so helpful to enjoy our staying. We got a great room on the top with the see view and a balcony where u can sit and relax. There are great facilities at the hotel, hammocks, swings etc. it is to compensate for the lack of good beach. It will suit more people who r happy to stay in the hotel. To swim mu need to go further to access a good beach. Staff very friendly and supportive.it was very quite in that area on the jambianu beach out off season and we moved to paje later. have very good guide, pool and other activities. Had enjoyable stayed over there great view and is very good place to stayed there. Lots of different activities to do go snorkelling, swimming and playing games. It is popular place to go there for the tourist. Starting with the positive, it was a great quiet and peaceful stay at Mbuyuni. Most of the staff were incredibly nice and while they were very friendly and helpful (most that is…) they weren't constantly hounding you, which is great. The food is really fresh every day and great seafood, with more than enough in the free breakfast. Rooms are basic but more than suitable when you're spending all day on beach/ at pool. My hut had 2 double beds in it with a small terrace and chairs outside. Theres also a nice sitting area by the restaurant, where there's wifi. Unfortunately, however, between the pool cushions being collected in and me checking the loungers 1 hour later, my shorts went 'missing'… Yes, my fault for leaving them there but still very disappointing that despite my requests one member of staff was completely incapable of following through and asking relevant people if they had been 'found'. It was only when I mentioned Agoda reviews that he seemed interested and that was probably a few days too late. So, yes I liked it but…be careful with your belongings. It was okej, not so much to do. Far from other restaurang and the beach outside the hotel was not so nice. But if you walk 30 minutes you cant go to Paje beach. Good value,, very relaxed (being off season helped) and friendly staff. Returned twice during my two month stay in Zanzibar for some R & R - it provided just what I needed, both times, at a really good price. staff was helpful, lovely place, peacfull. generaly clean, good value. poor maintenence. we had unexpectedly large triple room with enormously huge bathroom of about 25 sq. m. the room was named "kisima a". but other rooms can be quite small (our friends lived in smaller rooms). the hotel has a nice ocean water pool which is very useful on low tide. the beach itself is uncomfortable because of rocky seabed: for good swimming you could take a snorkling trip by boat or walk for a while for good beaches. the staff can organize any trip or excursion. bargaining is possible. 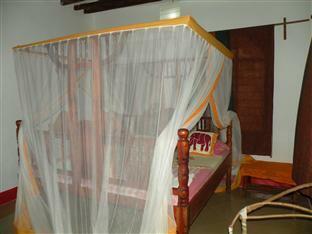 the hotel is located between two villages: paje and jambiani. the car is very recommended to rent otherwise you should walk 20-30 min for the nearest cafe or shop. there are hammocks and pool table in the hotel's area. there are no air condition in any rooms but only fans. however this did not bother us. drinks are availabe in the bar at very reasonable price (only 50-100% more than in supermarket). lunch and dinner could be ordered in the hotel's restoraunt at a fair price which is only 10-20% more than in local cafes. housemaids can make african braids for very very low price. just bargain and allocate one hour. avoid intermediaries to reduce the price and negotiate directly. We stayed here in January (just after New Year Eve). This place was chosen because it was high season and many hotels were fully booked. The price was more than reasonable (for the hotel with swimming pool) and we booked the room. Our room (triple) was big. It is located in front of the swimming pool. 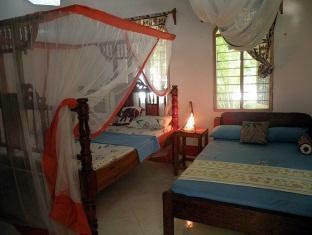 Furniture is OK (one double bed and one single bed with mosquito net), sofa, table and a rack for clothes. The swimming pool is not to big but clean and filled with ocean water. There are some sun-beds near it and some hammocks. Breakfast was simple but OK (egg, pan-cake, fruits, juice, instant coffee/tea, toast, jam and butter). If you want to have lunch or dinner in this hotel you have to order 1-2 order in advance. We tried some dishes but they were not to tasty and we preferred to eat out of the hotel (in Paje village). The hotel is located between 2 villages (Paje and Jambiani). Paje is the nearest one(about 2-3 km). It's possible to walk there along the beach but we rented a car and we used it. In Paje there is a supermarket (not common place for Zanzibar).it's name is Supaduka. You can buy there drinks, some food and some souvenirs. Near this shop there is another one with selections of spirits. So the location of the hotel isn't bad especially if you have car or bike. But the main problem this place is the entrance to the ocean. You can't enter due to sharp stones on the seabed and doesn't matter low or high tide. But you can go to the left (Paje direction) or to the right (Jambiani direction) and in 10 minutes you will reach really nice beach with sandy seabed. But the beach near the hotel also has fine white sand. The problem is the sea entrance. 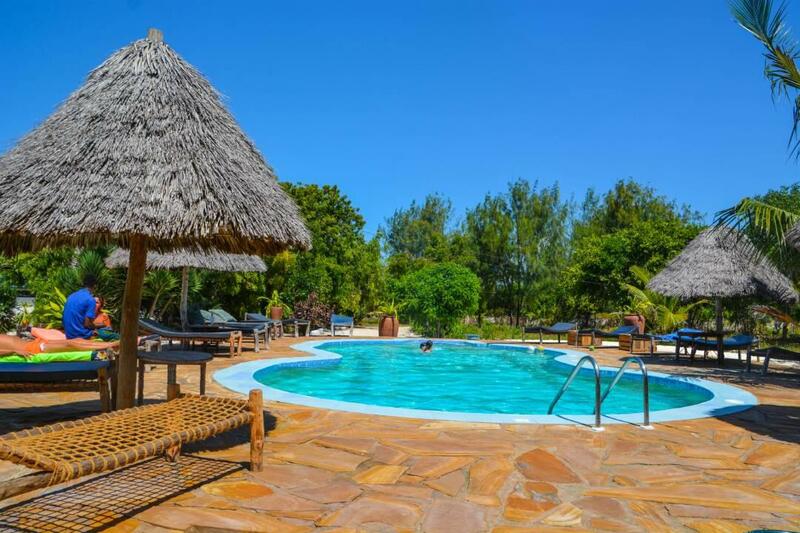 So, if you are looking for a nice hotel for reasonable price and don't have enough variants this place could be good for your break in Zanzibar. And one more advice-take a small pocket light with you. Black-outs are quite common in the evening. Took great care to make sure we got to go on trips and had a reliable taxi service back to Stone Town without it costing us lots of money! Rooms were nice and cosy although the bathroom sink was wobbly and leaked a bit. The beach was nice but rocky in places and the tide was far out but it did provide great camera pics. Its not often I find a hotel I can sit and do nothing in but it was easy to do here with free tea and coffee all day, every day, an outside area to charge your laptop and beautiful views. The food was very nice but there was a mix up with our order the second night and my starter came as I finished by main! On the whole, a really lovely and relaxing beach hotel which I would definitely stay at again. The pool was great and the rooms. Nice hotel and nice room. The pool was great and the staff was very friendly. The beach wasn`t that good, alot of reefstones. You had to order lunch before 1:pm and dinner before 7:pm. You cant get anything to eat between lunch and dinner. we loved mbuyuni! spent 6 nights relaxing days/nights there. the staff couldn't be more friendly and accommodating. and the place was a perfect size, intimate yet with lots of little nooks and areas to relax in. for example, there's a cute little game area by the pool table next to the restaurant..and a little open game area with hammocks, and also "a couple of swinging sofas by the beach." and their pool also has a great view of the beach. happiness! Nice place with lovely pool and great staf.Good lunch and dinner that you had to order in advance.The room was rather small and dark. Wir haben uns sehr, sehr erholt. Die Anlage ist authentisch, sehr gepflegt.Die Zimmer sind supergross, mit grossem Bad.Toller Balkon mit Aussenbett und Sofa+Tisch.Pool wurde sehr gepflegt, Zimmer auch. das Personal ist sehr zuvorkommend und hilfsbereit. Leider ist der Zugang zum Meer sehr schlecht, wegen der Korallensteine..für einen Badeurlaub mit Kind daher eher nicht zu empfehlen. An dieser Stelle ein grosses DANKESCHÖN an Uhuru, Mici und Amor..die Woche bei euch war die erholsamste des ganzen Urlaubs. Guenstige und schoene Zimmer, Guenstiges und gutes Restaurant, tolle Lage direkt am Strand, sehr ruhig. Wir haben den Aufenthalt im Mbuyuni sehr genossen und würden jederzeit wieder dort buchen bei einem weiteren Aufenthalt auf Zansibar!